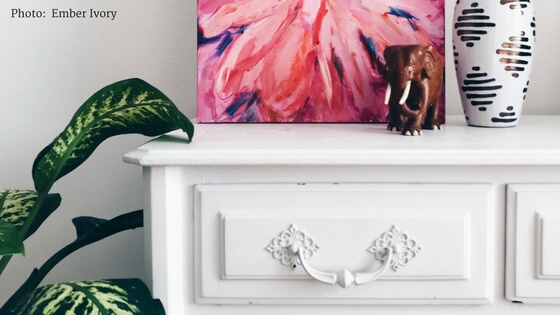 There could be a so many reasons holding you back from updating your child's room. It takes time to do the shopping. And that's after you get agreement from your kiddo. And makeover? That sounds expensive. You're not sure you want to sink a bunch of money into a kid's room whose favorite Power Ranger changes every other day. And there always seems to be something super utilitarian, but way less fun to do that you need to address first. "Really, roof? Now?" I know. Believe me I know. 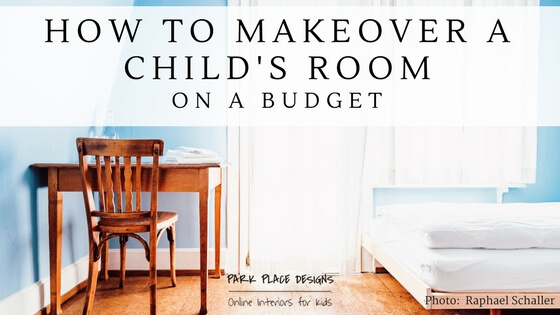 But what I also know is that there are ways to make a HUGE impact on your child's room with a small budget. Because, really? The look on their face when they see their "new" room is so worth it. Let's talk makeover. Easily the most visible change you can make is by changing the wall color. A lick of paint will take you far. But you don't have to do the whole room. Don't get me wrong; you certainly can. But if you're nervous about your painting skills or just want to see a small change, choose one wall to paint. Or even color block the wall. Feeling extra frisky? Paint the ceiling rather than the walls. If you want to pain for longevity, go neutral with your color selection. Now hang on here. You aren't in any way boxed in with white, grey, brown and black. Lots of colors are being considered neutrals and look great with a range of colors. I'm looking at navys, blues, some greens. I mean look what millennial pink did! It was everywhere! Another great change you can make is to switch up the bedding. It could be as simple as a new throw/quilt at the foot of the bed and a complimentary throw pillow or sham set. Or you could go full sized with a new duvet cover set. I advocate for a duvet over a comforter because you can easily remove, wash, dry and replace a duvet cover. The same with a comforter is doable but not as easily. Also, buying a new duvet cover gives you the flexibility to change again without a major financial impact. This one. Oh, I really love this one. There are just so many types of art at your disposal. Genres include photography, prints, original art....and much more. The bigger the impact you want to make, think bigger your works of art. A large piece at the head of a bed is a wow factor in any child's room. You could also go gallery wall. Options for this include family photos, a slew of prints that you can purchase and download on Etsy, the choices are endless. I particularly love displaying the children's own art. It let's them know how much you value their work. An alternative to the gallery wall for multiple pieces of art is a wall ledge. Fewer holes in the wall is ALWAYS a good thing, and changing out/refreshing the art is super easy. This tip could cost you absolutely nothing. Look around the house for things your could lend to your child's room. Side tables in the living room could make bedside tables. The same goes for a dining room chair. Or you could get crafty and change the furniture already in their room. A fresh coat of paint doesn't work only for the walls. Consider the bed, dresser, nearly anything can be changed. One of my very favorite shoestring changes you can make is switching out the knobs on your furniture. Look for cute ones for dressers, desks, etc. Total facelift. In my mind, the more personalized the better. Projects together can be fun too. And messy. But mostly fun. click here for free budgeting worksheets. seriously. make it easy on yourself. 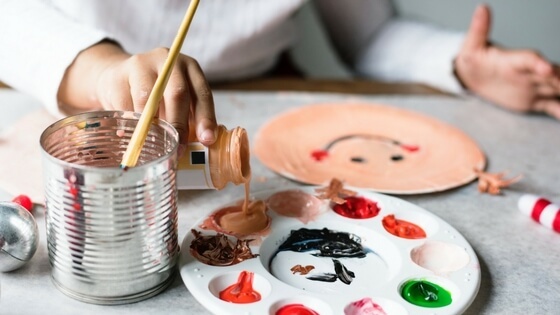 Those a few of so many options you have for a childs room makeover without spending a ton of money. There are loads and loads more. Choose the one(s) that work best for your family! If you get stuck, I've got a perfect way to work together. Check out my Room Review option. 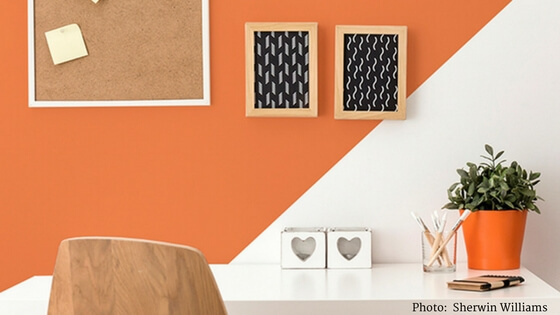 Five actionable tips to get you started or finish up that kids room project. At a great price, too!